A-HOTEL.com - Luxury and cheap accommodation in Dulan, Russia. Prices and hotel, apartment booking in Dulan and surrounding. This indicative offer was derived from the most recently booked accommodation in Dulan and sort by the price, from cheapest Dulan accommodation to the most expensive hotels. To select accommodation by your preferences we recommend to choose from 1 accommodation offers in Dulan in total. By entering the dates of your overnight stay in Dulan and using the filter tools you can sort the best possible accommodation for you. The entered dates of your stay are crucial for the most accurate offer as it derives all the online information on pricing and availability of Dulan accommodation. Then you can book the selected Dulan lodging (hotels, apartments etc.) immediately. Located in Dulan, Baikal Traveler has barbecue facilities, terrace, shared lounge, and free WiFi. Certain rooms at the property have a balcony with a lake view. Gostevoy Dvor Bagul'nik is set in Enkheluk. All rooms feature a TV with cable channels and a private bathroom. Set in Novyy Enkheluk, Guest House Baikal Holiday features barbecue facilities. Featuring a 24-hour front desk, this property also provides guests with a terrace. 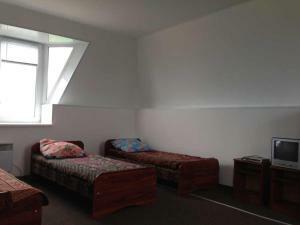 Korolevskaya Gavan Enhaluk is offering accommodation in Enkheluk. The property has a seasonal outdoor swimming pool, as well as barbecue facilities. Touristic Complex Sagaan Morin is offering accommodation in Sukhaya. All rooms boast a TV with satellite channels and a private bathroom. Boasting a private beach area and barbecue facilities, Guest House Tengeri is situated in Sukhaya. Among the various facilities are a garden and ski storage space. Set in Sukhaya, Park-hotel Zvezdnyi has barbecue facilities and a terrace. All rooms boast a TV with satellite channels and a private bathroom. Selenga is located in Selenginsk. Featuring a 24-hour front desk, this property also provides guests with a restaurant. 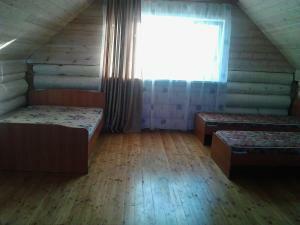 Offering free WiFi, Guest House Baikal Sofia is set in Posol'skoye. Among the various facilities of this property are a terrace and a shared lounge. Located in Sakhyurta, Tutayskiy Priboy has barbecue facilities and bar. The rooms come with a terrace with views of the mountain. Boasting a bar, Guesthouse Vorobievi Gori is set in Sarma. Featuring a 24-hour front desk, this property also provides guests with a restaurant. Surrounded by trees, this traditional hunting lodge is peacefully located in the Primorskiy Mountain Range. It offers a Russian sauna, children’s playground and spacious accommodation. Baikal-Miami is located in Sakhyurta. Boasting a shared kitchen, this property also provides guests with a barbecue. База отдыха Базарка is situated in Sakhyurta. Guests at the country house can enjoy a continental breakfast. Гостевой дом Дыхание Байкала is located in Sakhyurta and features barbecue facilities. Among the various facilities of this property are a terrace and a shared lounge. Located in Sakhyurta, Lastochka has a terrace. Featuring a shared kitchen, this property also provides guests with a restaurant. Offering a sauna and a private beach area, Baza otdykha Eldorado is located in Sakhyurta. Some units feature views of the mountain or lake. Set in Sakhyurta, Gagarin House features barbecue facilities and terrace. The tour desk is available to assist guests in planning their days out. Guesthouse Baykal Lux Aeterna is situated in Sakhyurta and has barbecue facilities, a terrace and a shared lounge. Rooms have a balcony with a sea view.